I’m a big fan of Pecha Kucha Nights. This event offers presenters a chance to share their inspirations and accomplishments in 20 slides, 20 seconds each. It brings people together for an inspiring experience. Vancouver Art Gallery after-party included. It’s a SOLD OUT show! I’m all about social media and building relationships online. I also appreciate the value and pleasure of taking friendships offline. Interested in the science of all this? Check out this interesting podcast by University of Chicago Professor, John Cacioppo. He says our brains actually perform differently when we are face to face. This Pecha Kucha, I’m delighted to be taking two of my new Twitter friends! I hope you’ll take a online friend, too. Good luck! Hope to see you there. I’m inspired by many for varied reasons but top of mind right now are Cameron Herold & Elena Verlee for ability to model for us all… Success by keeping FOCUS! Inspired by Kelly Diels, Danielle LaPorte, Seth Godin for starters. Kelly and Danielle by their authentic voices as strong women entrepreneurs and Seth….well, pretty much everything! she passed March 7, 2010 and will always be my mentor. One of the inspirational people that I know is my mom. She raised three kids, took care of a very busy household and worked a full-time graveyard shift. She’s a constant reminder to me that with the right attitude and work ethic, you can accomplish a lot! Inspired by entrepreneurs that pursue business with a triple bottom line approach and see their business as a vehicle to make a positive (not negative) impact on the world. I am constantly inspired by my 9 yr-old friend. He is a boy with many interesting passions (he loves escalators), but is also viewed as different by his peers at school because he is autistic. I met him and his family through a friend & have come to really enjoy our friendship and playing together. I (don’t) understand his struggles…pains that he is aware of himself, but still triumphs with him when he hugs, jumps, dances, and plays the piano. Although I don’t get to see him as frequently as I did in 2010, he is often on my mind. Especially when I need to be reminded of how one can find beauty in everything. As a college student I often feel overworked and anxious about my career goals, ambitions, relationships, health, finances and forget to just pause, breathe, re-evaluate, and boldly knock out the “im” in “impossible.” My friend inspires me to do just that. 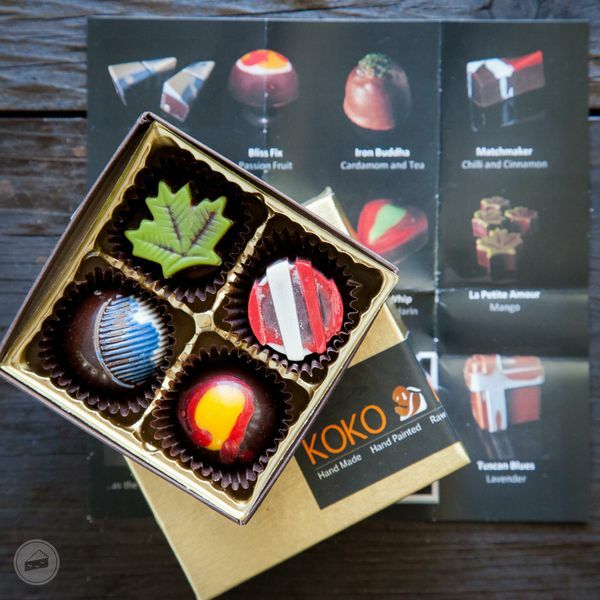 I’m really inspired by entrepreneurs who find ways to do good through their work. This means contributing to their online and local communities, giving fledgling businesses a leg up, or choosing to work with clients that promote sustainability. The best part is, their actions inspire the rest of us to do the same. I’m surrounded by very talented people and they are my inspiration in the everyday life. Although the most inspirational person has been my dad that taught me to never give up! I’m inspired by my partner, Valerie Ostara, who lives each day with integrity, compassion, humour, strength, and above all, humanity. She knows how to model for others, how to coach, and how to heal. She makes me strive to be a better human being, and I’m exceptionally proud that she chose to be with me. There are some really wonderful and “inspiring” comments here! Thank you all for sharing your stories. It’s been so enjoyable reading all of them. It was great to play Susan Boyle’s youtube clip again, Louise. What a voice! Share the love. Tell that special someone why you chose them, if you can. Get your entry in tonight! Ends midnight. Draw winner posted Wednesday morning. I am inspired by not necessarily the “heroes and saints of every age” but by the anonymous men or women who complete the unrecognized work. They’re the people who clean the Skytrain cars of used newspapers in the morning, the people who stock the shelves at a supermarket during the night, the people who drive the trucks and buses to move goods and people from one destination to another in the safest manner possible. Certainly the work lacks a certain glamour, and sometimes there are some unforeseen hazards, but these and many other professions are honourable and necessary. These workers are the ones who need positive recognition as they perform work that is needed but more often ignored by the rest of us. “Right now over half of the worldâ€™s population is under 35. We are the largest, most connected, most educated, most diverse generation in history. We have the collective power to create whatever we want. They are asking tough questions and putting on perspective shifting events involving big names like Ken Lum to spark a dialogue between generations, empowering and galvanizing Generation Y to consciously create a future we choose, a future we want. They are young women, they are visionary and they are getting things done! I am INSPIRED! I have never been to Pecha Kucha, I could not afford the tickets this time and I would LOVE the opportunity to go and get even more inspired!! Especially as a designer and creative! 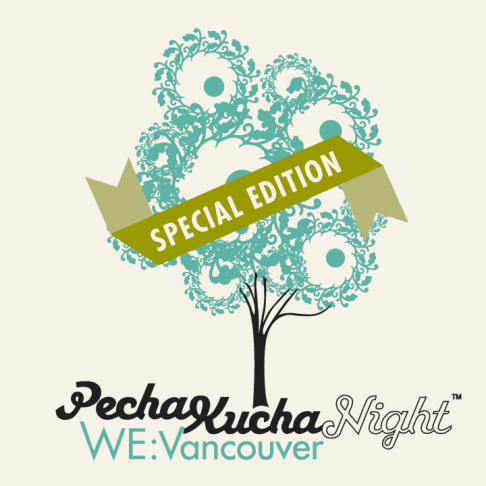 You’ve won two tickets to the sold out show Pecha Kucha! Please email me asap to have your tickets emailed. Thanks to everyone who participated. There were so many great comments! I was dazzled with what Joanne delivered for us.